Planning a wedding is usually stressful, there are so many things to coordinate and decide! Fortunately, finding your dream bridal bouquet can be very easy with our help. At Flower Explosion we have created a sampler of bridal bouquets in different styles and colors so you can choose the one that is the most "you". Nevertheless, the options are nearly infinite! Just tell us what you have in mind and we'll make it for you. We can customize any of our pre-designed wedding bouquets or we can make a new one completely from scratch, the only limit is your imagination! Any flower, any color palette, any budget. Just give us a call and we will be very happy to walk you through the process of making your dream bouquet come true. Every wedding is different just as every bride and bridal party are special in their own way. Some brides like to have matching bouquets with their bridesmaids to feel part of a team, while others prefer a more exclusive one that gets all the attention. At Flower Explosion we have an expert team that will design and create your bridesmaids bouquets too, just the way you always dreamed them!. 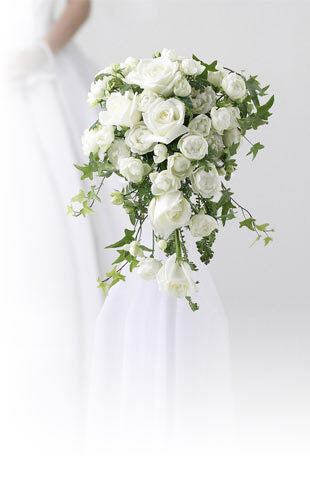 We recommend 25-30 roses per bridal bouquet. Though, of course, this depends on your size preference.